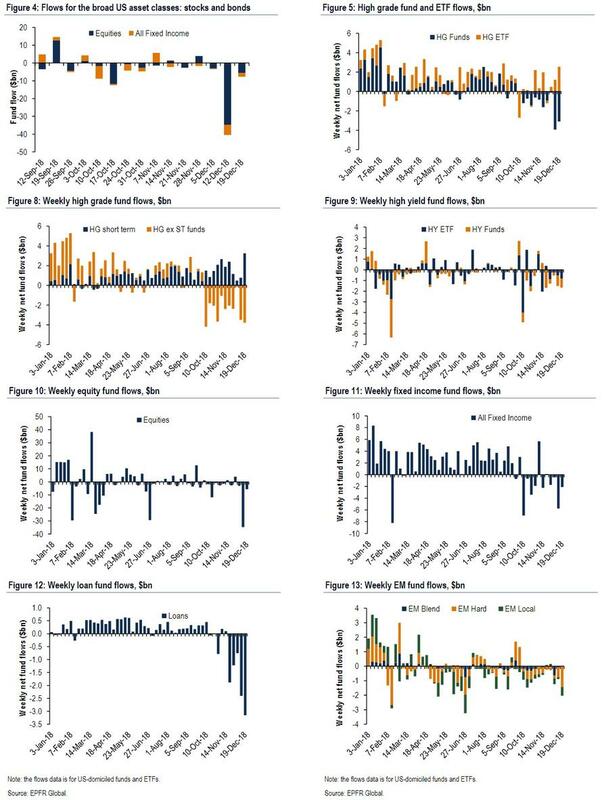 "A Sea Of Fed": Record Outflows Confirm "Policy Mistake"
One week after record redemptions from virtually all risk assets including loans prompted Bank of America's chief investment strategist Michael Hartnett to conclude that markets are "losing the plot", the record pace of outflows have continued with the strategist's assessment this time, coming after the Fed decision, is that these are "policy mistake flows." Hartnett then proceeds to layout his recap of "2018 in a nutshell" which he summarizes by the events in the past 24 hours as "9 central bank meetings, 5 hikes (Fed, HK, Saudi, Sweden, Mexico), 4 holds (BoJ, BoE, Czech, Indonesia), 0 cuts", indicating that central banks are again the #1 catalyst this year. And echoing what he said three weeks ago, Hartnett is convinced that the "Big Low" in risk assets in 2019 will coincide with end of tightening. 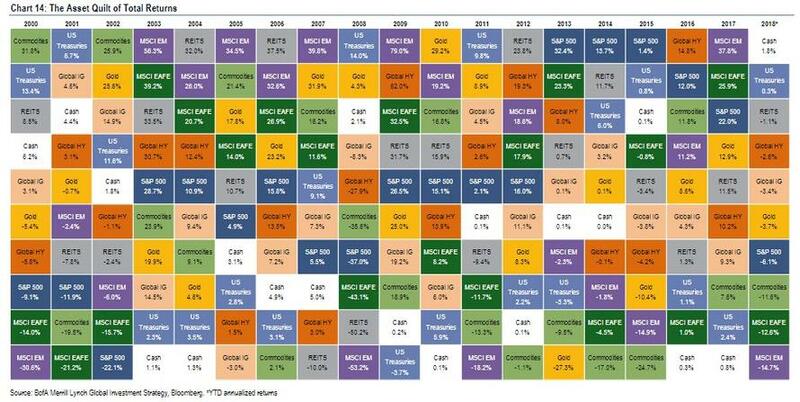 That said, we are already well on our way to said "Big Low" with 2011 global stocks currently in a bear market, and as Deutsche Bank showed earlier, virtually all assets - except the USD and cash - down for the year as follows: US dollar 5.3%, cash 1.8%, govt bonds -1.2%, HY corporate bonds -2.6%, IG bonds -3.4%, global equities -8.6%, commodities -9.0%. Specifically, global equities saw outflows of $8.3BN, European stocks saw the 4th biggest outflows ever at $5.4BN (YTD total rises to $72.8BN), while U.S. stocks had an outflow of $4.4BN (YTD outflows of $32BN). That is a remarkable statistic, because as Harnett notes, the last time we had positive cash and negative equity, credit, and govt bond returns in same year was 1969. Meanwhile, the loss in global stock market cap since the January peak has been a remarkable $16.7 trillion, the size of the GDP of the EU. Looking at only the US, already some 1406 stocks are in a bear market; other assets are not doing much better with global IG bond losses of -3.4% equal to the third largest since '91, while the price of oil has plunged -40% in 55 trading days. 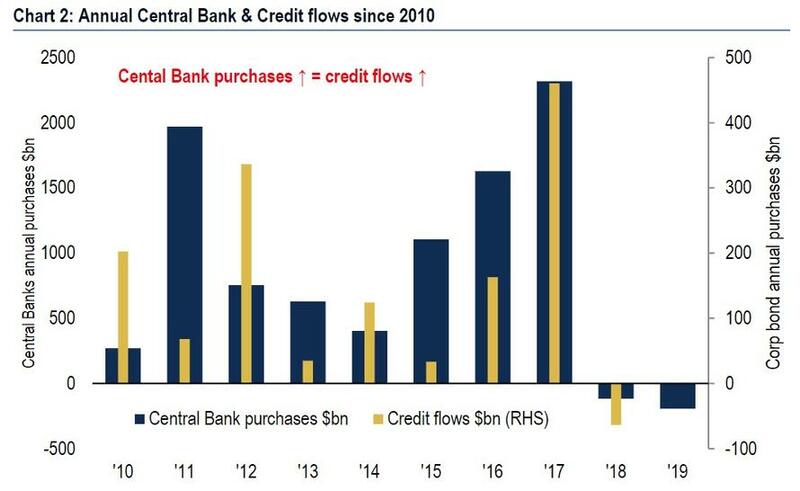 Going back to fund flows, Hartnett describes the recent record redemptions as "Policy mistake flows" - with the Fed hiking for the 9th time, record outflows from financials ($3.3bn), the biggest government bond inflows since Jan'16 ($5.0bn) and massive IG outflows ($5.5). 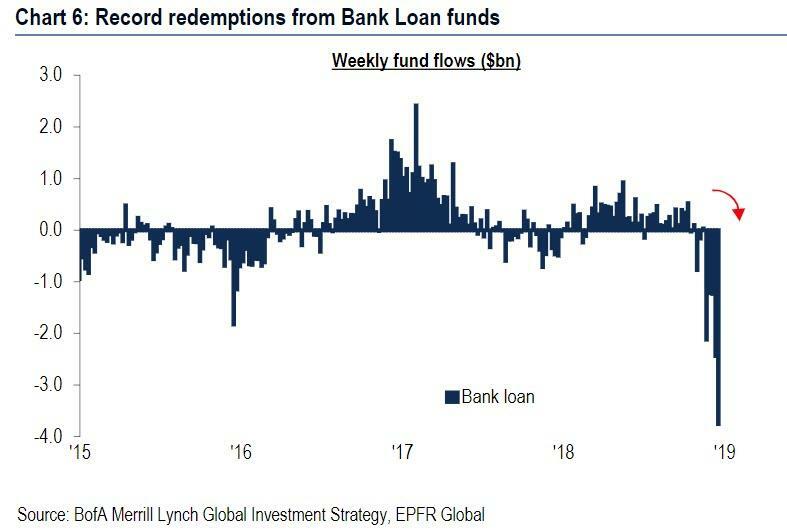 Last but not least, we just had the second consecutive week of record redemptions in bank loans ($2.9bn). 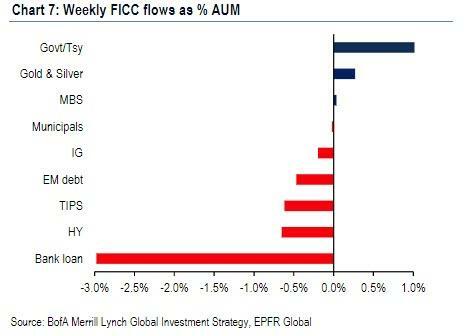 There was just one ray of sunshine: as Gundlach said in his latest investor call, EMs remain a lone source of alpha (thanks to expectations for a weaker dollar) and the result was the biggest EM stock inflows since Feb ($4.5bn & $21bn past 10 weeks). Markets are "Losing the plot" as it is rare for combo of such capitulation out of risk, capitulation into US dollar (CTFC long dollar position 1.5sd above norm – Chart 4) & Fed dovishness not to spark rally, and writes that "the only reason it would not is fear of “credit event” & “policy impotence." 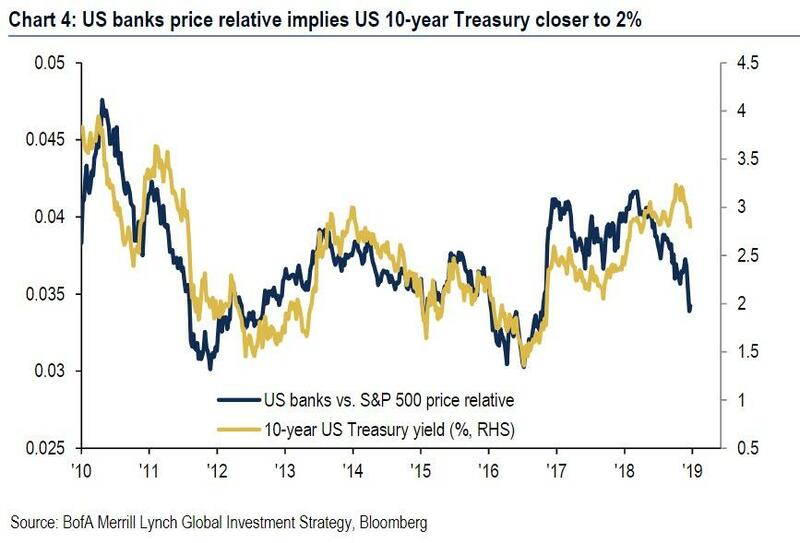 In this context, the BofA strategist tells his clients that the upside catalyst will be the "Big Low" rallying call, expected some time in the first half of 2019. 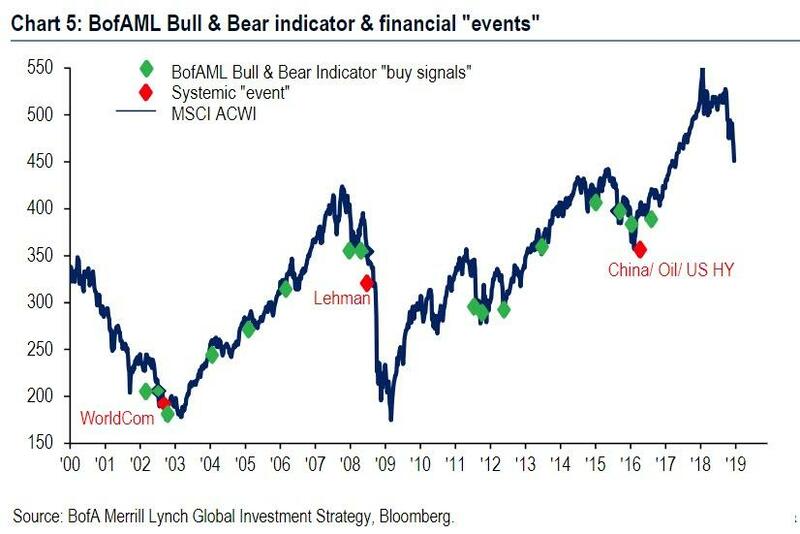 Meanwhile, he is unable to give the all clear to buy stocks as the BofAML Bull & Bear Indicator has to be <2, and is currently @ 2.5 as inflows to EM, slow rise in FMS Cash levels are preventing a "buy signal". 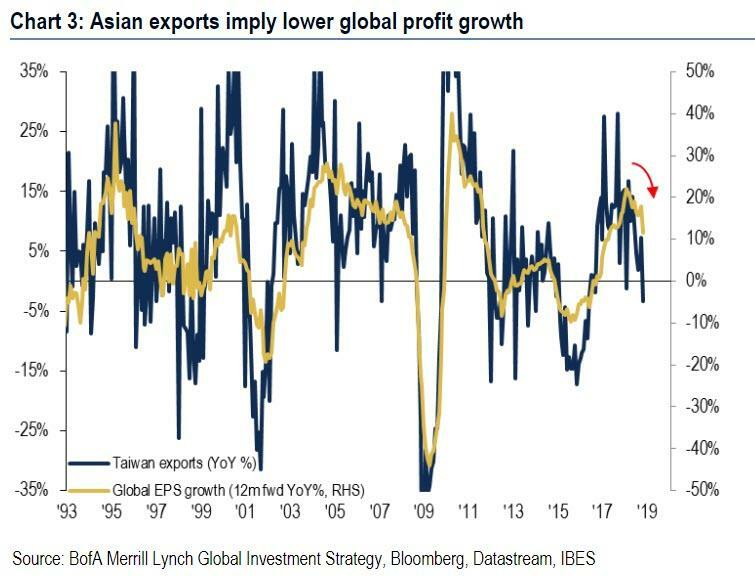 Looking at fundamentals, the outlook is just as dismal as BofA expects a sharp downward turn in EPS lead indicators as the Asian export cycle continues to deteriorate. Going back to the Fed, there are two key catalysts that the market will be looking for: i) the end of QT and ii) the end of policy impotence. Finally, in the context of "the worst case" outlook, Hartnett reminds us that Fed tightening cycles always end with financial "event" and it remains unclear if we will avoid disorderly devaluation of US dollar (e.g. EUR @ 1.25) driven by capital flight before the Big Low in 2019. Such a devaluation would constitute a metaphoric, if not literal, "credit event" for the US, and the outcome would be... well, quite ugly.